Despite the threat of a Nor’Easter, over 60 partners, mentors, mentees, and their parents came to Summit for a presentation on preparing for and paying for college. Representatives from Wells Fargo presented information on planning, applying to, choosing, and paying for your college education. 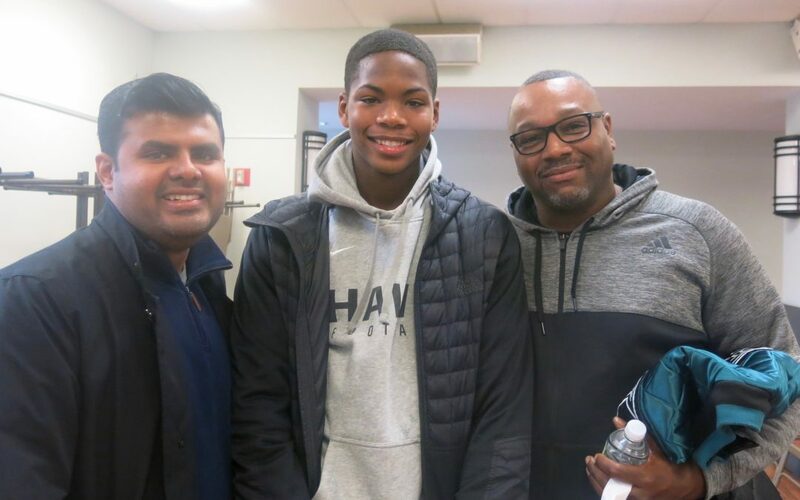 Juniors, Seniors and their parents left better equipped with important resources to help get them on the path to best navigate their college application process. Craig Ader, from Wells Fargo stressed the importance of meeting deadlines to achieve the best results in earning scholarships and financial aid. Applying to college can be overwhelming at first, but by following Wells Fargo’s 5 Step Guide to Paying for College, you can stay organized and systematic in your approach. Step 2: Apply for scholarships by visiting tuitionfundingsources.com to discover millions of scholarships worth billions of dollars. Wells Fargo provided several great resources including www.tuitionfundingsources.com to help students find numerous available scholarships to help pay for college. They also advised students to consider career options by also understanding the earning potential for their given career path by consulting https://data.bls.gov/projections/occupationProj which helps to predict the starting salary for each career choice. Finally, Wells Fargo directed also suggested consulting http://engage.vevent.com/rt/preparepayforcollege for various webinars throughout the year to help students prepare and find funding for college. Please see our resources section of the website for a timeline of important steps for students to consider during junior and senior years of high school as you prepare for college.